The following documents will assist you in expediting the check in process for your appointment. Click the icon below to download the forms. You may either print them out after completing them on your computer, or print the blank forms and fill them out by hand. 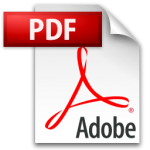 Our forms are available online as Adobe Acrobat (PDF) forms. To view and print these forms and notices, you will need the free Acrobat Reader, which you can download here. Please bring to your first appointment: a list of your current medications (including dose and frequency), your medical insurance and a picture ID.